2000. Those who have heard previous Jeff Pearce masterworks such as Vestiges, Daylight Slowly and The Hidden Rift may find it hard to believe that on his latest album, Pearce has taken a quantum leap. Still working entirely with processed electric guitar, and still fusing a delicately expressive musicality with a lustrous trademark smoothness unsurpassed in ambient music, Pearce has refined his art to yet a greater clarity. Deep and yet radiant with light, melancholy yet optimistic, achingly sad yet eurphoric, To the Shores of Heaven unquestionably earns Pearce a spot among the great names of ambient & atmospheric music. "I've also been blessed with the fortune of having been able to hear a substantial amount of Jeff's latest material before he officially releases the CD on Hypnos next week. I promise you, as lovely as all Jeff's previous releases have been, with 'The Shores...' he has envisioned and created themes that have gone a step beyond anything he has ever produced before. Melancholic, ethereal, stunningly poignant; 'The Shores...' transcends hearing, enshrouding all senses, creating feelings of sadness and joy, beauty and celestial ascension.... The music of Jeff Pearce shimmers like sunshine through rain." "...a no-doubt-abouter here. A clean shot over the left field fence right off the bat. An all-time- lister. Desert island material. The most beautiful spacemusic CD ever released. 'Nuff said." "All-time 10 favorite CDs list." "A warm, kindly, sometimes melancholy journey through spiritual states, a narrative from sadness to heavenly light. And he does it all with just an electric guitar! Top 4 of 2000 (#2)." "Best of 2000 list (#07)." "Top 25 Essential CDs of 2000 (#6)." "What hasn't already been said about this luscious work? Jeff continues his heavenly climb; his albums keep improving. Topping perfection isn't easy, but somehow Jeff has outdone himself." "...a strong contender for cd of the year, Y2K!" 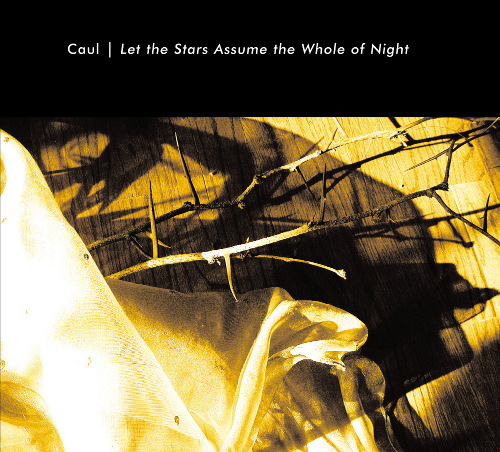 "... a beautiful CD... I could imagine being in Heaven and hearing this." "... a latter day classic... "
"... his best to date." "To the Shores of Heaven is exquisite. I have been playing it all week at work and can attest that it is a bit of heaven on earth." "Mr. Pearce gets the very most out of his guitar. Most of the tracks have only the barest of substance, choosing instead to drift on for miles. Long lazy chords, echoing voices, and drones flowing out to the horizon. But when the mood strikes him, he can also provide a catchy precession of stanzas, or even just a dreamy undulation to an otherwise calm smooth surface. His stylings strike a very good balance between the dark and the sweet. A very contentful work. It was released on the Hypnos label, and they're generous with the quantities they produce." "Jeff Pearce's last album of new compositions, Vestiges, was, for the most part, a journey into pure abstract atmosphere. To the Shores of Heaven, on the other hand, is more varied, some of it sounding more like traditional guitar music. The album's title provides a very fitting interpretive context for the music contained within. Many of the compositions evoke the sounds of the seashore. Others have an airier, floating feel. And throughout the album, there is a sense of gentle awe projected. Perhaps this could be best described as music to be played in almost-deserted seaside cathedrals. Of course, it's also a treat to listen to the types of things Pearce is capable of making his instrument do, particularly on "Doubt on Dark Waters," on which wailing notes are backed up by a steady, thumping beat. More innovation that should please those who have enjoyed Pearce's other works." "There are quite a few artists in the ambient field who use electric guitar as part or all of their musical instrumentation, but none does it so well as Jeff Pearce. In this solemn but beautiful album there are timbres and sound-effects, and even percussion sounds, which you would think were done on a synthesizer - but all of it is done with electric guitar. That does not mean that there is no actual guitar-playing on the album; it does show up, contemplative and smoothly slow, at times reminiscent of Will Ackerman's work for Windham Hill and Imaginary Roads. Indeed this is a slow-paced album, but that hardly means that it is dull or boring. The motion of this music is drifting and cloud-like, often circling around a single motif, a minimalist meditation on a few notes or even one or two chord changes; in this it is similar to the work of Tim Story (Beguiled, The Perfect Flaw) who does similar things with piano. Because Pearce chooses to work with conventional tonality most of the time, he chooses harmonies which stand up and become enriched by this minimalist treatment, blended by the "infinite reverb" which is so characteristic of the best ambient. The sound-material dissolves into a magical shimmer that glows and fades at just the right moments. At times, this soundscape dips into the realm of dark ambient (as in cut 5, "Rain as a Metaphor,") but it never stays there very long. This is an album I would classify as "ambience of light;" even though it sometimes has a melancholy undertone, it is created to bring out feelings of hope, beauty, and even exaltation. Towards the end of the album, with cut 10, "To the Shores of Heaven," Pearce unleashes swells of soundwaves which reach toward a vision of glory, then follows with a pastoral guitar epilogue, no. 11, "Reunions," where the "country" evoked is that of the far country beyond the gates of this world. Pearce has put this album together beautifully, the succession of pieces creating moods which form a kind of ambient narrative leading from darkness to light, from sadness to hope. It is an exquisite album which should be numbered among this year's best. HMGS rating: 10 out of 10"
I got a new car yesterday. Your first response to this news should surely be "so what? What does a car have to do with ambient music?" Well, I'll tell you. I purchased a Mazda Protege ES, which is the topline Protege. It has a nice CD player in it, which excited me greatly because now I could listen to all my favorite music while driving (which I couldn't before). But here's the ambient part of this. A design feature of the dashboard in this car, which I didn't notice until driving it at night, is the soft red light emanating from the dash panels. It's like nothing I've ever seen in a car before. I was amazed! I'm talking about beautiful, mesmerizing, "ambient" red light that creates a lulling vista inside the car while still leaving the speedometer, etc. quite readable. When combined with the fine sound of my stereo, I have sort of a "chill-out" room in my new car! It's very exciting, and I expect to enjoy all kinds of wonderful music in the days to come. And speaking of wonderful music, I received some excellent new CDs recently that I want to comment on. Among the selections: Greinke's "Lost Terrain," the Johnson/Philips opus "Lost at Dunn's Lake," and Jeff Pearce's miraculous "To the Shores of Heaven." I just have to say how blown away I am by these discs. I feel like I was in a rainstorm of sheer beauty. Great ambient music has to be "organic" and totally surrounding, IMO, and these discs certainly are. "Dunn's Lake" is a superb, long-form work that absolutely does justice to the blueprint Eno established years ago with "On Land." I was in awe listening to it, realizing how far ambient music has come, and how, in a sense, I was rediscovering it in many ways. I've sought out some new stuff after having recovered from a personal crisis, and almost everything I've gotten has been amazing. These works are not just recycling the same ideas, they are expanding on and seeking new variations of the "ambient ideal," whatever that is. It's been so inspiring to hear. And the Jeff Pearce disc, oh lordy. I had this unwarranted skepticism before hearing the disc that a recording using only processed guitar couldn't possibly be as beautiful and organic as other discs in my collection. Boy was I wrong! This is a stunning, overwhelming release that blew me away. The sounds took over every cell in my body when I listened. I don't know how Mr. Pearce mixed or recorded this disc, but it's a landmark ambient CD, one that all should have. Beautiful, beautiful, beautiful. When I say that "my cup runneth over" when it comes to modern ambient music, I'm stating it accurately. We should be thankful there is so much excellent music in this genre. Once upon a time, this music was scorned, consider an anomaly in the industry, and not really seen as a creative basis for experimentation except for a few pioneers like Eno, Budd, etc. Now, it is more apparent to me than ever that many, many individuals have taken the genre to heart and have helped it achieve the potential that Eno thought it had long ago. Works like the above and many more are stunning gems, and I truly feel fortunate to have them in my collection. I feel it affecting my life in ways I can't fully express..."
"In these 11 themes of Ambient and Atmospheric Music, the artist takes the audience through a musical voyage along the heavenly shores, as indicated by the title of the CD. 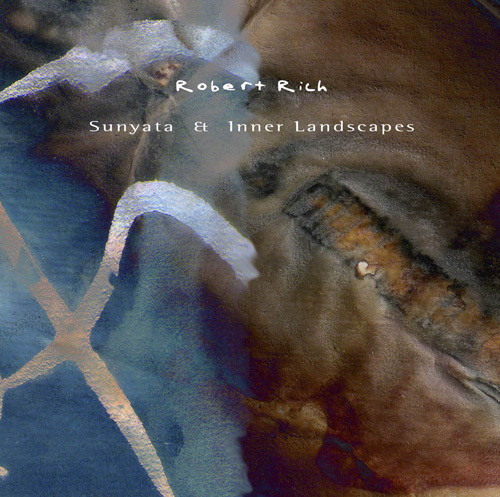 By using electronically processed guitar sounds, the music flows softly onwards, floating towards otherwordly soundscapes, at times with melancholy touches, at times optimistic, always delicately expressive, communicating a wide range of feelings and emotions, with ethereal sounds, cosmic textures and a careful musical sensitivity that make of this album an ideal vehicle for relaxation and meditation. No doubt this CD will appeal to the fans of Jeff Pearce's music as well as the lovers of Ambient and Atmospheric Music in general. Jeff Pearce shows once again his expertise as a musician, continuing with the work he initiated in his previous albums, among which we find Tenderness and Fatality, the Hidden Rift, True Stories ( a collaboration with Vidna Obmana), Vestiges, and Daylight Slowly." "As the more careful readers will know, I love guitar music, in its many facets. Either drony, noisy, glitchy (Zammutto!!) or like this on the new Hypnos CD. Jeff Pearce's fourth CD is one of simple, very simple beauty! Spacy as hell (this should be heaven of course) giving that endless waving of sand in the dessert. I imagine Jeff sitting on the Grand Canyon with a cowboy hat, the sun hot in the air, and Jeff plucking is guitar. I know, all of this is studio techniques, using the right amount of reverb and other small devices to treat your music. But the careful readers will also know that I really don't care about technique nor do I wish to know anything how it was made. I care how it sounds and what it creates sitting for my speakers. The blurb raves about Jeff sitting next to Robert Fripp, but I have lost track of our 21st Century Schizoid guitar player, so I can't argue about that. But should it be true, I should definetly dig for Fripp, as Pearce's work is simply hauntingly beautiful." "Using a spare palette of electric guitars and electronica, Jeff Pearce paints silvery soundscapes of light. Pulses carry the time more than any distinct rhythms as Pearce's e-bowed notes reach up to the heavens -- it's the closest thing in the auditory world to seeing the shimmering splendor of the northern lights. Sonic dramas play out through waves of discordant harmonies on the title track, which gives a sense of the impending arrival of a very large "something" while still remaining peaceful and cleansing. Are you floating on a cloud or across the water? Are you air or metal or beams of starlight? Are the sounds breathing you, or are you breathing them? The well-sculpted To the Shores of Heaven allows for any number of imaginative mind trips." "Ambient artist Jeff Pearce continues his adventure into spacy music with To the Shores of Heaven. Similar almost to previous Pearce albums, Heaven is another leap for Pearce's music. Though some might consider the album to be the perfect backdrop to a planetarium show, Pearce's sound is distinct. Known for his use of a processed electric guitar, the songs on the early 2000 album are even more emotional and layered than Pearce's prior works." "Perhaps the best of all the ambient composers, Jeff Pearce uses only multi-tracked electric guitars for incredible effects and harmonics. By plucking the strings just before recording begins or with the volume low and then catching the sustained notes, he creates a shimmering glaze of ethereal musical vapors. This is space music at its most ingenious and transportational best. Throughout each piece, the music continually transforms into new chords that appear and fade in gradual sublime succession. Only on "A Fading" and "Veil of Lake Snow" is it discernible that Pearce is using electric guitars, since the notes have finite beginnings. For a magnificent journey to the depths of inner and outer space, this is one of the most enjoyable ambient albums of the year." "TO THE SHORES OF HEAVEN, the fifth solo CD by Jeff Pearce is his latest on the Hypnos label, which also released Pearce's fourth CD, DAYLIGHT SLOWLY. An image that comes to me while listening to this album is of being on a small airplane looking out to the west after a beautiful sunset, absorbed in the deepening tones on the horizon, looking through the clouds, imagining the "shores of heaven" in some metaphoric state. This new music by Jeff Pearce has just that feel of vast and spreading spaces underlaid with steady, organic textures; chords that move from major to minor to 9ths and back again in the billowing pads of a contemporary work; hushed and breathy shimmers of sound moving through an ocean of light; ominous bass rumblings that resolve peacefully. Pearce is a musician that concisely wields his sonic paint brushes to create delicate aural landscapes of elegant simplicity. This is a tranquil, expertly crafted album that gets richer with each hearing. The mysteries and complexities of this album are endless, engaging, and as enigmatic as the tones Pearce is capable of coaxing from his treated guitars. Pearce has succeeded in taking the guitar to new dimensions. Unless you read about the guitar in the liner notes, you would find it difficult to recognize the guitar , as most people know it, in the compositions. Pearce creates layers of loops and textures which result in the infinite sustain of endless waveforms. The eleven songs on TO THE SHORES OF HEAVEN, easily achieve what many musicians strive for their during their entire career: a moving, yet restrained work that can simultaneously reveal artful sensitivity and technical accomplishment. From the opening, melancholy textures of "A Fading" (that could serve well as the opening title soundtrack of a motion picture) to the resplendent tones of "Reunions," Pearce leads the listener through a variety of well crafted soundscapes. TO THE SHORES OF HEAVEN, is one of Pearce's finest albums to date. Highly recommended." "Jeff Pearce once again proves that he is the master of atmospheric guitar music with his latest release To the Shores of Heaven on the Hypnos label. More transcendent and ethereal than his previous work, Pearce has succeeded in creating a world of serene tranquility whose foundations consist of floating synth-like guitar textures which ebb and flow as if guiding one on a pilgrimage into an ether-world. The title is certainly not mis-leading as one cannot escape the feeling of ascending through clouds and witnessing Heaven's celestial plain in all its perfection. Pearce's technique of manipulating the electric guitar is fully brought to light (even more than usual) on "Doubt on Dark Waters" as what audibly appears to be tribal percussion is from his guitar (the guitar and its enhanced effects is the only source material that Pearce has ever used). Very few artists widen the spectrum of their individual instruments like Pearce does and still maintain a sonic purity that not only remains undiminished, but improves with every release. The albums compositions all have a common denominator in that each work seems to create a view of the celestial realms from a different vantage point, but still sharing the experience of spiritual revelation. Soaring guitar notes create slow, drifting, expansive atmospheres, which for sixty-one minutes at least, lets one leave this earth behind." "In the early 1970's, King Crimson's Robert Fripp broached the concept of the solo electric guitarist, layering and looping his instrument into expansive, textured paintings in the air. Since then, many guitarists have followed that model, and one of the best is Jeff Pearce. On To the Shores of Heaven, his fifth solo release, he continues creating a serene ballet, a balance of windswept designs and delicately laced pirouettes. A purist, he generates all sounds on To the Shores of Heaven from his electric guitar, albeit processed, looped and layered in a fragile airbrushed orchestra. Even the percussion on the quietly tribal "Doubt on Dark Waters" is from a guitar. Pearce's music literally shimmers, with violin-like guitar layers dotted with delicate, finger-picked melodies. On pieces like "Sudden Light," he reaches a majestic contemplation. (A Critics Choice selection)"
"Jeff Pearce uses his electric guitar and outboard processing gear to conjure up awe inspiring sonic landscapes, consistantly demonstrating confidence and a seasoned command of instrument and technology. Pearce's latest CD, "To The Shores Of Heaven", is a successful and enduring album filled with the mystery and grandeur that first drew this artist to the genre. A master of the soundscape guitar, Pearce is enabled by insight gained through years of commitment, contemplation and experimentation. By blending technology, spirit and craft, Pearce has earned the respect of his peers and the admiration of his audience. On "To The Shores Of Heaven", Pearce presents definitive studio versions of pieces first unveiled live at the 03.06.99 Gathering in Philadelphia. The music is compelling, honest and emotional. Slow melodies glide in the ether above the shifting chord motion below. Complex timbres resolve with sobering dignity. The listener is left with a sense of wonder, pondering eternal truths... Can this musical manifestation be an inkling of, after a lifetime of navigating the rough waters of mortality, being welcomed to the shores of heaven? "Hypnos are developing something of a name for producing strong, melodic ambient albums - very pleasant but with an edge and intensity that takes them beyond new age and into a more interesting field. Pearce uses guitars to create his works, adding treatments that provide depth and variety. 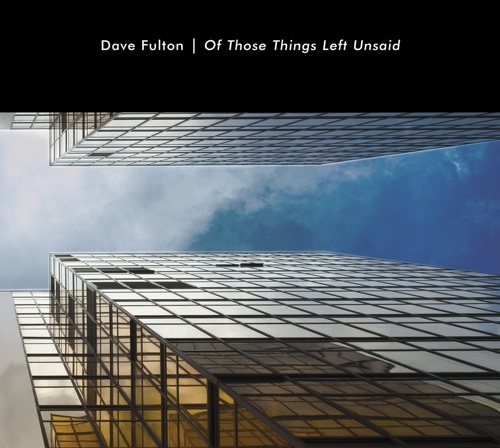 The track titles give an idea of the history he is working within: 'A fading', 'From cliffs of departure' or 'Doubt on dark waters' fall very easily with Eno and other moody, atmospheric names for music which does just that, create moods and atmospheres. But mainly this is gently unfolding tonal ambience, taking us on softly supporting journeys through slowly evolving and turning soundscapes. Many of the notes have voiced-qualities, all are subtle and suggestive. Moods vary between a lightness such as 'Sudden light' to more dense and mysterious as in the title track or the dreaming 'Angels of the ocean calms'. And as a surprise, 'Doubt on dark waters' actually includes a percussive component - the only one to do so. This is a delightful melodic album, but which also has some darker edges and intensity. In the hands of a skilled manipulator, the guitar can create some wonderful sounds." "I was about to write a review of the new Vidna Obmana (The Surreal Sanctuary) released on the same label, when Postman Pong popped his head through the window and said "More CD's for you, big fella." As I'm in the mood to have a quick listen to hear how it measures up to a lot of other fine Hypnos releases, I find myself gob smacked by what I am hearing. Very few recordings make me put pen to paper almost immediately, as it does take time to almost develop a relationship with the music you are hearing for the first time. 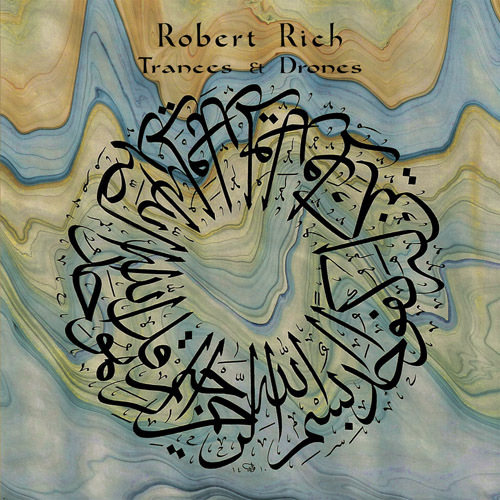 This is emotionally / spiritually charged guitartronics reminiscent of the works of someone like Robert Fripp (without the dramas), mixed in with the drone sensibilities of a Robert Rich. There's are wonderful celestial overtones, which take him up there into the stratos with the David Hykes' and Laaraji's of the world; Jeff Pearce choosing to explore the possibilities of being 'in the light' as opposed to the dark end of the ambient spectrum. It's basically guitars and treatments, the guitar processed and stretched into long sheets of sonic beauty, depth and power. The other aspect of this recording I really enjoy is the wonderful sense of warmth that emanates out of the recording. It makes a welcome change from some of the stuff I have been listening to as of late which though challenging and rewarding in ways, comes across as cold and alienating to the listener. Not the case here, thank goodness. These are soundscapes which are quite sensual in nature, atmospheres clouded in secrecy and memories. You want this to never end. Well I guess that's what the repeat function is for on the CD player. It would have worked just as well as one continuous piece, as all eleven tracks tend to merge effortlessly into one another. This is without doubt one of the finest release on Hypnos ever. Mike Griffin needs to be congratulated for having the vision and courage to release this and Jeff Pearce should be given an honorary seat in the ambient hall of fame. Writing and rewriting this review brings up two words time and time again; amazingly beautiful. That's a nice way of summing this up. Timeless stuff." Existing adjectives fail to do justice to Jeff Pearce's latest release. Having said that, I'll give it a go. The body of Pearce's work to date consistently stands out in its ethereal beauty and emotional impact. To the Shores of Heaven is clearly his masterstroke. The opening track, "A Fading," goes straight for the heartstrings with Pearce's sublime guitar work. Electronic enhancement is (perhaps deceptively) feather-light. The pristine and languid acoustic melancholy of the instrument shines through. As "The Shores" progresses, Pearce exquisitely intertwines this lyrical quality with lushly layered soundscapes to create music that glistens with a haunting radiance. The "shores" aspect of the title comes into play (particularly on the fifth track) as the music gently hints at an aural seascape of the surf repetitively crashing against a sandy shore, with the faint call of gulls echoing overhead. In this reviewer's humble opinion, To the Shores of Heaven reaches its apex with track #7- "Veil of Lake Snow." The piece illustrates what sets Pearce apart from other ambient artists- that heavenly guitar work. Pensive, plaintive, and achingly poignant; space music with a soul...the quintessential Jeff. "Doubt on Dark waters" beguiles the listener, as a sensual, tribal beat percolates under a gossamer veil of soaring sustained chords. The effect is exotic and tantalizing. The title track provides a dramatic climax to the record. Overlapping crescendos of richly layered sound wash over the listener, enveloping all senses. Majestic and elegant, the piece is positively transcendent. As "Shores" comes to a conclusion with the wistful and introspective "Reunions," one thing becomes clear: With this release, Jeff Pearce deftly attains the moniker of "Space Musician." He sublimely sets the listener somewhere far above the stratosphere...perhaps, one might say, at the shores of heaven." "Jeff continues to amaze me in every aspect of his work. His craft and expertise in handling and processing guitar sounds is becoming more apparent with every album. Tracks like 'Sudden Light,' a miniature of wonderful radiant sustained tones or 'Rain as a Metaphor' really take me places and alllowe me to share his remarkable vision. Artists like him should get more widespread recognition for their enthusiasm, passion and dedication to their work. This is definitelly one of the best of the year so far and worth repeated listenings which can reveal new qualities every time." "There aren't many artists working with the sonic purity of Jeff Pearce. After five solo albums, he's still recording with just electric guitar, albeit an electric guitar run through a lot of electronic processing, loops and over-dubs. Even the percussion on the quietly tribal "Doubt on Dark Waters" is from a guitar. On "To the Shores of Heaven" Jeff continues his quietly ecstatic sound, full of shimmering guitar textures and delicately plucked melodies refracted through loops and delays. Jeff gets an orchestra of sound from his guitar, with layered swells, gentle pizzicatos and soaring sustains. On pieces like "Sudden Light" he reaches the kind of of majestic contemplation that hasn't been heard since Robert Fripp's early Frippertronics. Fripp is an obvious touchstone for Jeff, but he doesn't have the need to flash his virtuosity, letting the compositions and mood dictate his sound. To the Shores of Heaven finds Jeff Pearce still pointed in the right direction." "Jeff Pearce reaches far beyond the flatlands of his native Indiana on this latest CD (appropriately titled) To the Shores of Heaven. This is far and away his most ambitious work as he uses his studio wizardry to create space music that is warm, wondrous and deeply spiritual (again, reflecting the title). Absent from this CD are the reflective and darker textures of his masterpieces The Hidden Rift and Vestiges. Instead, the music, whether overt guitar songs like the album opener, "A Fading," or the more synthesizer-like next song, "Sudden Light" reveal an almost cathedral-like ambiance of reverence and awe. Without resorting to melodrama or bombast, Jeff paints portraits that speak of...well, the shores of heaven, I suppose. At times, this recording reminded me of Liquid Mind's music, in that it likewise involves the layering of washes of sounds that swirl together ever so slowly, forming music that is beautiful and lush. Fans of Jeff's earlier work will doubtless love this; however, people who might have considered his earlier releases cold or dark (although I can't imagine many did) should find To the Shores of Heaven refreshingly warm and inviting. A soft glow seems to be coming from the music on this CD. Comforting in the same way that a nightlight is to a child as she or he drifts off to sleep, the waves of music that subtly move through the air seem to penetrate past any cynical defenses a listener might have and work their magic on the most jaded mind. While that description makes this sound like some namby-pamby neo-new age recording, it's far from being that. Instead, what differentiates this CD from the pack is the utter lack of schmaltz despite all this positive energy and inviting beauty. Listen to the opening of "The Emergence" and tell me it doesn't sound like the music one might hear during a religious epiphany! In fact, this particular song, for me, brings to mind parts of the "Atmospheres" cut on the 2001 soundtrack (the softer parts about 2/3 of the way through). Unlike previous albums, where Jeff almost always ended the recording with the longest cut (or placed it towards the end ), here it's placed right in the middle. Track five, "Rain as a Metaphor," stretches out over nearly twelve minutes. The song offers shimmering cascades of synth-like guitar textures over what sound like high soprano choral textures (from a guitar, no less - and not a midi, mind you!). This piece alone illustrates that Jeff has done two things with this recording. One, his technique (which was already spectacular) has grown exponentially. Two, he is experiencing something either in his approach to his art or in his life that is contributing incredible positive energy. The almost tangible spirituality that flows through this recording is undeniable. Of course, this wouldn't be a Jeff Pearce album without some sterling guitar-oriented pieces as well, amongst the ambiance/ambience. "Veil of Lake Snow" is loveliness incarnate - solitary notes peal off into an unknown distance, while underneath strummed notes lay a groundwork of peace and serenity. Underneath it all is a subtle shading that softens any possible hard edges. No one that I have heard so far handles a song like this in the same way Jeff does. His control of nuance and texture is unmatched in this arena. The title cut (second to last on the album) features what may be the most lush and most powerful music Jeff has ever recorded. The drama comes at the listener in waves, buoyed by lead guitar lines that climb higher and higher, as if the notes were seeking the literal "shores of heaven" themselves. The album closes with "Reunions," which may be the closest the recording comes to either melancholy or even emotional ambiguity. But even here the overwhelming sense from the music is one of well-being and calm. Whatever has caused Jeff Pearce to re-invent his sound to such a degree, I don't know. But, whatever it was, it must have been a powerful force. Because that's a word that's easy to over-use when reviewing To the Shores of Heaven - powerful. Like a mighty river, beautiful and peaceful yet whose strength and purpose is undeniable, the music on this CD will take you to a place far away, effortlessly, yet you will never feel threatened or scared. 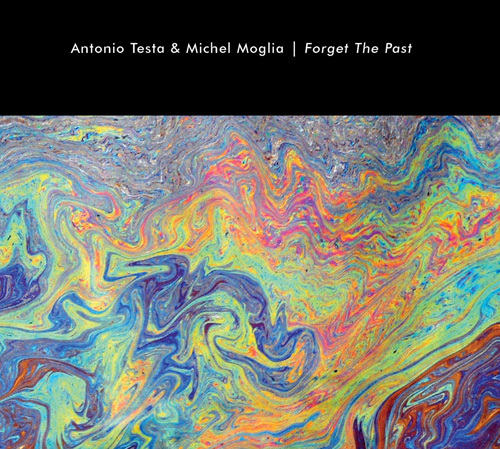 Fans of flowing and dramatic space and ambient music will be deeply moved by this extraordinary album." 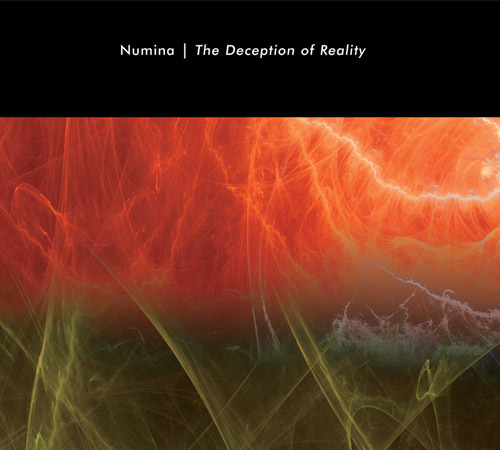 "Not having heard Pearce’s work -- outside of his collaborative effort with vidnaObmana -- this latest release from Hypnos was a bit of a surprise. One tends to associate Hypnos mostly with keyboard dominated program material. This work, comprised entirely of (heavily treated) guitar, is one of long drifting notes that trail off into perpetuity. Although the CD is mostly one of Light (well, gee - the title sort of) tracks, there are the darker, more mysterious as well. These darker moments are only hinted at and never quite extend into full-blown Lull territory however. Obviously that is not the point and actually the exact reason that makes this a special recording. Pearce’s presentation is one of understated splendor. Comparisons to other so-called ambient guitarists are practically impossible as while listening to the CD the only like recordings that sprang to mind were the new Steve Roach, Midnight Moon and Crossing the Trail, which, of course, Pearce performs on. 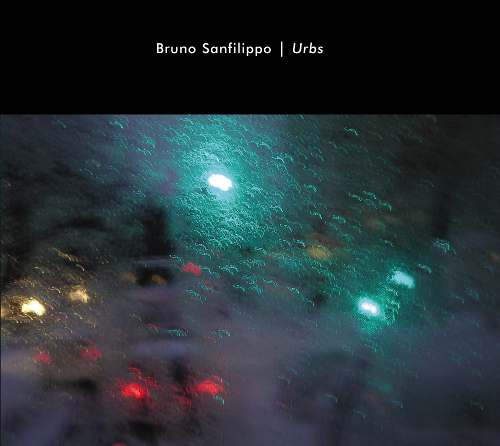 Again, Hypnos provides those looking for true, beat less Ambient with a perfect addition to their collected works. There are a few, very subtle moments which feature gently patterned sound as on track nine, "Doubt on Dark Waters," yet these resonate as rain dripping into an already full bucket of water lasting but a few minutes. Fact is that Hypnos’ roster has many of the best musicians working in true Ambient today. Hypnos makes a concerted effort to give the listener a nice package, natural sonics and great music. What more could one ask for?" 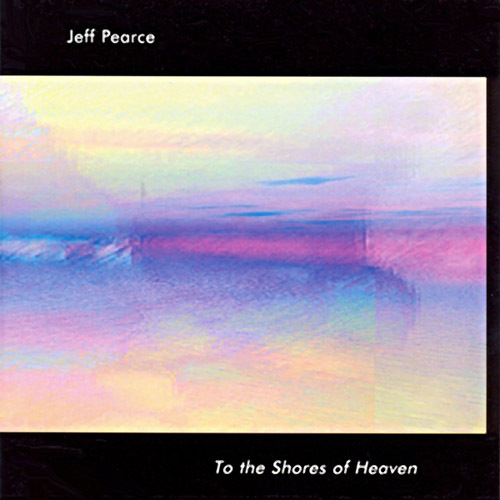 "Jeff Pearce's latest release almost literally does take you To the Shores of Heaven. 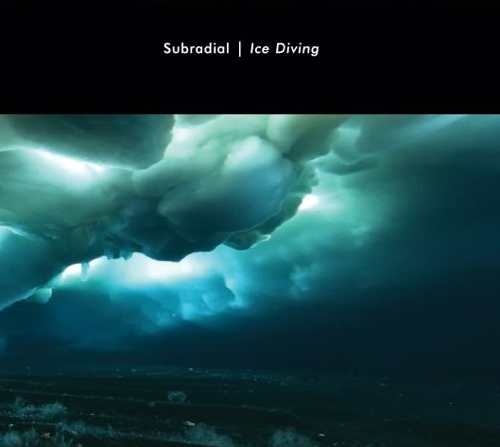 Surreal ambient guitarscapes ebb and flow in a very liquid, ethereal manner. With rare exceptions, it is difficult to tell that the guitar is the instrument of choice. Though plucked strings are evident on "A Fading," they seem to reverberate forever, and they are surrounded by soft, delicate layers which are themselves guitar-based, though one can scarcely believe it upon listening. Most of the remainder of the disc is even more formless, such as the beautiful "Sudden Light." 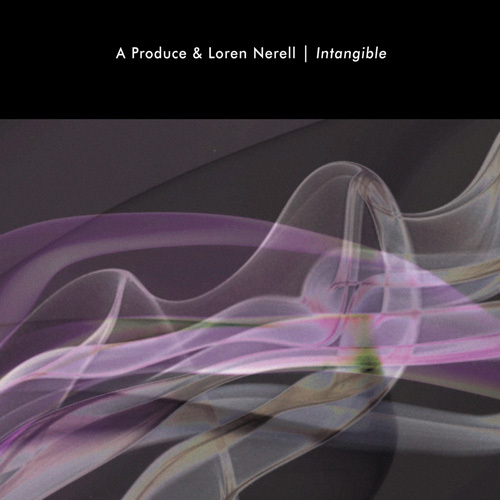 Ambient music rarely if ever gets better, or more purely relaxing, than this. Giving a track-by-track description in words really would not do Pearce's music justice. 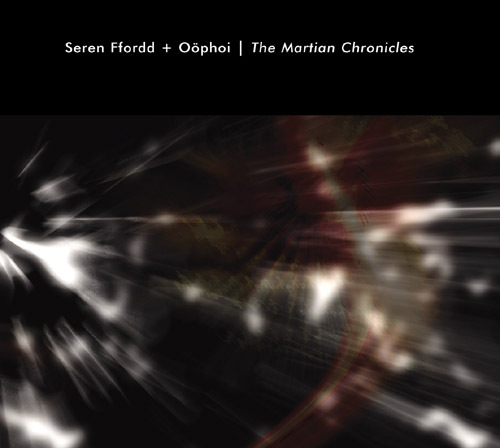 The CD is excellent throughout, never deviating from the outer realms of ambient space. As with prior Jeff Pearce releases, this is top-notch music for floating. Generally, each track explores a light ambient space for just a few minutes. "The Emergence" shimmers brightly, with soaring guitars and plenty of atmospherics. Virtually all of the CD shines, rarely straying into darker realms. A real standout is the 11-minute "Rain as a Metaphor," which is about as dark as the disc gets, but even this has beautiful effects which sound quite heavenly. The opening minutes seem to have lovely female choirs, but no doubt this is again accomplished with guitar - amazing. There is an incredible passage at the 3:40 mark which really caught my attention, threatening to totally sweep me away into oblivion. My favorite memorable musical moment on this disc, but only one of many. Simply brilliant." "At its best, space music is like magic. It created a whole new world alongside the one we're familiar with. It takes you places you've never been before that you've always known must surely exist. Great space music can also give you a new perspective on planet earth by giving you a different vantage point. Some artists make a pretty good case for that, Jeff Pearce being one of them. There are audio clips for his new CD at www.hypnos.com. Those clips are helpful, but the effect of the music is incomplete without the continuity of the music as it evolves over time. This music really takes you places."